For many, Wagner is automatically associated with Nazis and Valkyries, but what of the man and his work beyond The Ride? 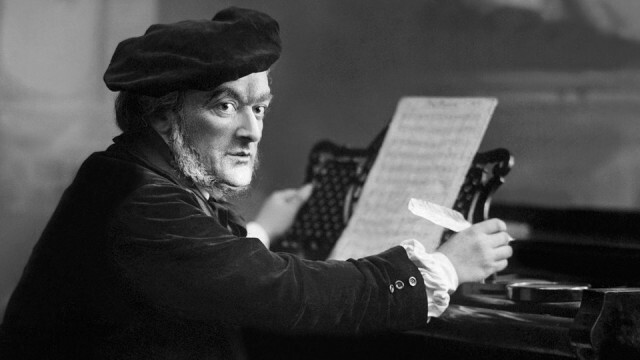 For many people, what knowledge they have of German composer Richard Wagner (1813-1883) comes down to two things – The Ride of the Valkyries and his connection with the Nazis. Hitler loved Wagner’s music from a young age and when he came to power, he lionised the composer, relishing in Wagner’s sense of nationalism as much the music itself. For many years, Hitler went to the annual Bayreuth Festival – an event established in the 1870s by Wagner himself to showcase his works – and even stayed at the Wagner estate. The composer’s descendants had personal relationships with Hitler and approved the use of Wagner’s music at Nazi Party rallies and other occasions, so the composer has become tainted and reviled by association; but let’s be clear – Wagner had been dead for 50 years before Hitler became Chancellor of Germany in 1933, so he wasn’t a Nazi. He was, however, a frightful anti-Semite, openly attacking Jews in both his musical and literary works. For example, the character Beckmesser in his opera Die Meistersinger von Nürnberg is widely thought to be a Jewish stereotype of the grossest order; and Wagner’s essay Judaism in Music (1850) spells out his unequivocal opinion that Jews lack the capability to be true creative artists and can only ever hope to imitate their “betters”. It’s an ill-informed and totally abhorrent stance. So should we go on? What does our conscience tell us? Should we dismiss Wagner altogether, or separate the odious man from his art? We’re opting for the latter, because as contemptible as Wagner’s opinions were, he was a composer who had an extensive influence on the development of Western music, an influence recognised by musicologists and musicians of all religions. At the end of this article, for example, there’s a link to Jewish conductor Daniel Barenboim conducting the Berlin Philharmonic performing The Ride of the Valkyries. The Ride of the Valkyries was used to great dramatic effect in Apocalypse Now (1979) in the scene where helicopters bomb the living daylights out of a Vietnamese village. The melody was put to words by the Elmer Fudd in the 1957 Merrie Melodies cartoon What’s Opera, Doc? when he sang those immortal words “Kill the wabbit”. Wagner appeals to vastly different sensibilities! Wagner challenged prevailing operatic conventions, which put him at odds with other noted composers such as Brahms and Clara Schumann. He wanted to create works where each artistic aspect was more or less equal. He envisioned opera as a piece of art where music, libretto and staging had equal status, bringing together the work as a unified whole. He came up with the idea of turning the houselights down, so audiences would be in darkness, the better to appreciate the action on stage. The theatre he built at Bayreuth was bigger, wider, higher, grander than other theatres. His vision went beyond the music to the entire experience, something that’s had a lasting impact on the performing arts as much as the creative arts. Another of the many striking innovations Wagner developed was the use of leitmotifs, or signature tunes – melodies for various characters or objects (such as the Ring). The theme is heard each time that character appears or is referred to and causes listeners to become more engaged with what’s happening on stage. Among Wagner’s other important works are Rienzi (1840), The Flying Dutchman (1841), Tannhäuser (1845) and Lohengrin (1848). Tristan and Isolde (1859) broke new stylistic ground. The harmonies are audacious, the music exquisitely conveying the overwhelming tragedy of this story of love and death. It’s also famous for the “Tristan chord”, which changed the way tonality was thought about for generations afterward. The chord is unresolved, creating tension and a passionate longing. Wagner married twice and had a number of affairs. His second wife, Cosima, daughter of composer Franz Liszt and then the wife of conductor Hans von Bülow, bore Wagner three children before they were married. They didn’t much care about scandal. If you’re not into the music, there’s a great deal to Google about Wagner’s personal life. It’s quite riveting. Listening to Wagner’s music sometimes requires a bit of effort because so much of it is so very long. The Italian composer Rossini once remarked that, “Wagner has some lovely moments, but awful quarters of an hour,” and it’s no real surprise to learn that many people prefer to listen to compilations of Wagner’s music rather than sit through entire operas. The overtures – The Flying Dutchman, Rienzi and Tannhäuser for instance – are a perfect introduction for Wagner newbies, but if you’re looking for a more light-hearted and less academic way to introduce yourself to Wagner’s works, you could go back to Elmer Fudd, whose passionate singing to a cross-dressing Bugs Bunny is not to be missed. This is not a frivolous allusion. Warner Bros cartoons introduced countless millions to classical music. You can laugh at the brilliant animation, but the music is the star. I guarantee you won’t forget it. When Elmer sings, “Bwunnhiw-de, you’re so wuvwy”, the melody is from Wagner’s Tannhäuser; as is the duet “Retoin, my love”. The cartoon also features themes from The Flying Dutchman. It’s possibly one of the greatest ever homages to a significant composer. It’s all about the music. Just because Hitler was a fan doesn’t mean we can’t enjoy Wagner’s music on our own terms. If Daniel Barenboim can do it, so perhaps, can we all.